I can’t help but replay the musical lyrics, “Lonely Teardrops” in my head over and over again while I stare in admiration of tin and wood. 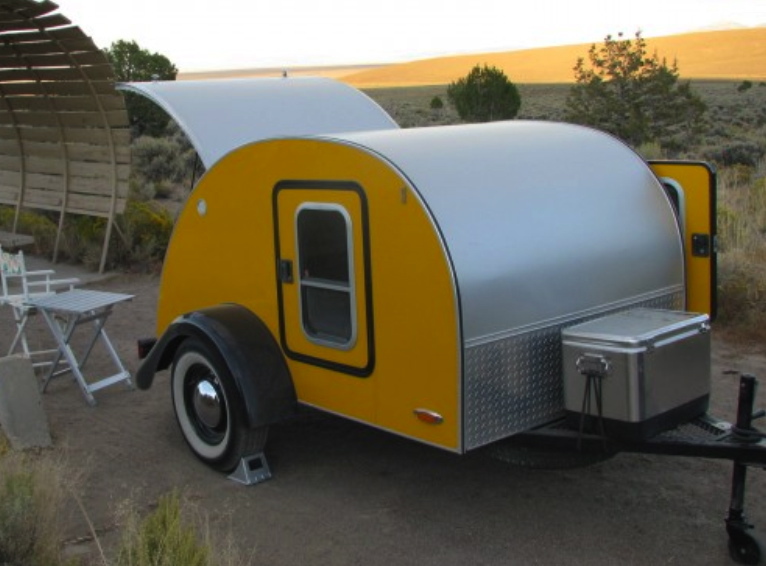 Known as a teardrop trailer, her lightweight form is profiled after a teardrop. Easily towable on just about any sized vehicle, her charming presence matches her springy convenience. Teardrops never preserved popularity within trailer mainstream since her invention in the 1930’s, but she’s been on my mind within the last decade. Once I received my latest subscription to Sunset, Mays issue prominently displaying a yellow teardrop trailer on its cover, I gasped! My camping nostalgia had resurfaced! 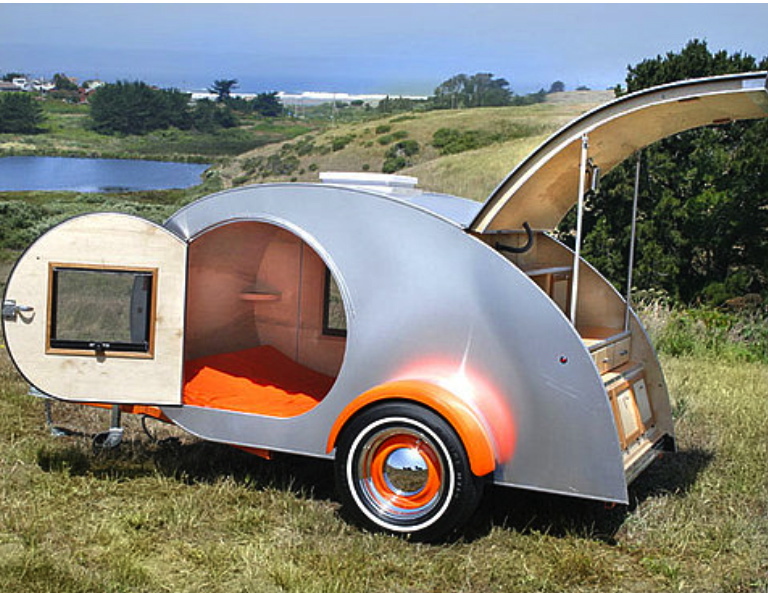 The antiquity of the trailer resting along a calming lake bed, beside a row of pine trees seduced me inside her camper. IMAGINE. Cradling ourselves in a teardrop after a long drive. Within her cargo the day rests for a starry night, howls and hoots resonates through the trees and echoes through our sleepy ears. When our eyes finally tire from their star gazing, feeling safe within our private reserve, our dreams precede us to our next teardrop excursion…. 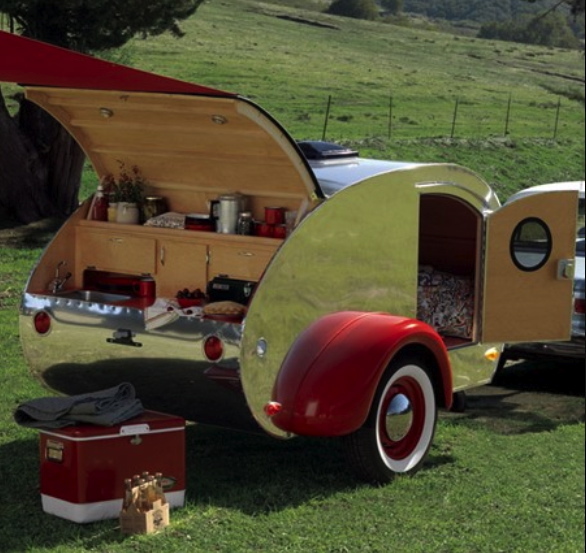 Side note: Glamping means, Glamour Camping. How inviting, how fun! Thank you Jeni.